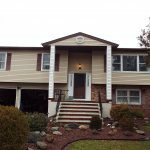 Regal Home Inspections, LLC’s services provide buyers and sellers with a thorough New Jersey home inspection of their 1 to 4 family residential structure in accordance with the Standards of Practice as established by the American Society of Home Inspectors (ASHI) and in accordance with New Jersey laws. This Standard of Practice was established to provide a “Minimum and Uniform” scope of work/inspection so that each inspection and each inspector performs nearly the same visual, nondestructive analysis of the major systems in a house. 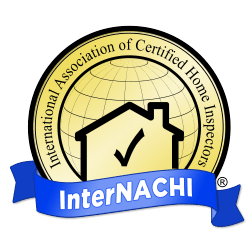 Most (if not all) home contracts of sale call for a home inspection prior to closing and this process and the basic inspection services that Regal Home Inspections, LLC offers meets the ASHI and State requirements. Many areas of New Jersey are deemed to be High Radon Potential areas or Tier 1 as determined by the NJ DEP. Regal Home Inspections, LLC is also certified with the NJ DEP to perform Radon Measurement services. In affiliation with licensed NJ laboratories, Regal Home Inspections, LLC can facilitate the Radon measurement and provide you with the results. Please read some of the posts on this website about Radon, Radon Measurement and more. They can be found on the News/Posts page. For many buyers and families, environmental matters are important. Perhaps a child with allergies or concern about the lingering effects of floods or storms and the potential to present mold or allergens in the air inside your home. Regal Home Inspections, LLC also offers services, outside the Scope of the ASHI/State home inspection to collect samples for Lead Paint, Mold, and Allergens like pet dander. Regal Home Inspections, LLC facilitates the collection of the samples on behalf of the client and uses the services of a licensed environmental lab to analyze the samples. Regal Home Inspections, LLC will forward the lab’s results with the client and will even meet with the client to review the results. 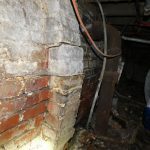 These services including Lead Paint, Mold and Allergens sampling, will be arranged through a separate services agreement beyond the scope of the Standard Home Inspection as instructed by standards and law.